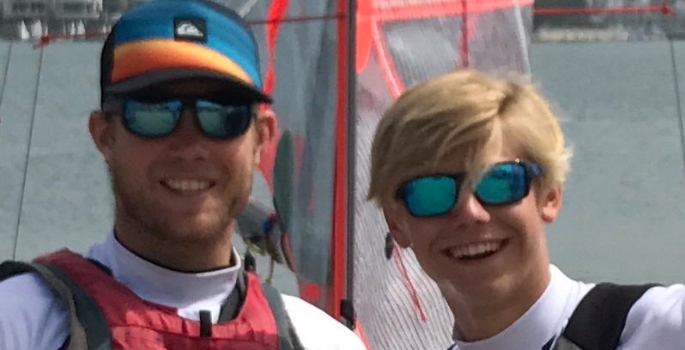 Rydal Penrhos pupil, Zac Blomeley, and Head of Sailing, Max Todd, achieved a podium finish at the Emergence of Seasons Championship, held at the Queen Mary Sailing Club. The duo were competing in the RS800 event for the first time and coped extremely well with the freezing conditions to emerge from the first round of racing in third spot. They headed into the final day’s action in fourth, but turned in a notable effort to gain another place in their debut competition. Director of Sport Allen Boyd, said: “Mr Todd is not only a highly skilled coach, but also a very skilled competitor on the water, which is a huge asset to us here at Rydal Penrhos. “He leads by example and has proven to be an exceptional role model for our young sailors, who are thriving under his leadership, and hopefully this will continue during the upcoming campaign.